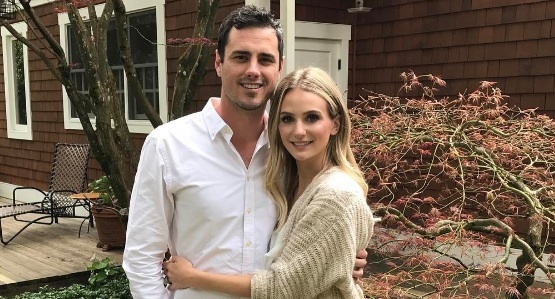 It’s a sad day for Bachelor Nation — Ben Higgins and Lauren Bushnell have officially split. Bachelor fans will recognize Ben and Lauren from Season 20 of the show (the season right before Nick Viall’s), and most likely will remember it as the one in which Ben told JoJo he loved her…and then promptly chose Lauren instead. This might not come as the biggest surprise to those who follow Bachelor-related news. Ben had expressed feeling rushed and overwhelmed in the past, and the pair postponed what was going to be a televised wedding special on ABC (fyi, we give them mad props for that. It can’t be easy to disappoint an entire network — but your relationship has to come first!). Surprised or not, we can all agree that breakups are terrible, and so we’re sending huge hugs to both Ben and Lauren today. Because breaking up is hard, and breaking up under public scrutiny is even harder.